​Shoppers will find South Whidbey's most vibrant market relocated below and to the south of Bayview Hall. This grassy area will cushion your feet as you shop and visit with friends. located in downtown Coupeville in the heart of Whidbey Island. 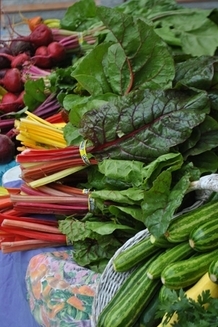 Find fresh, local, produce, plants, honey, and chocolates. ​located at the center of Whidbey Island. as well as concern about harm to the environment from ill-conceived agricultural activity. 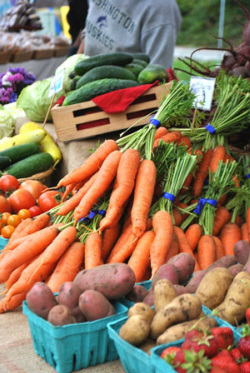 Tilth's mission is to promote environmentally sound and sustainable agriculture. other farm crops and farm animals without damage to the environment. ​and they want you to be a part of it! ​The market is always changing and always local. and beautiful arts and crafts to market. There are also home-grown musicians providing entertainment. honey, jams, teas, art, crafts, music and more, found at local farmer's markets from Clinton to Oak Harbor.